The Harsey Difensa, designed by world-renowned knife maker and designer William Harsey Jr. in collaboration with Spartan Blades, blurs the line between a fine, handmade custom knife and a finely machined one. Because it was designed for the Canadian Special Forces, you know this sleek bush knife is one of the toughest on the market. Each knife is serial numbered and comes with a lifetime warranty. The Harsey Difensa sports a 6 ?-inch long, 3/16-inch, American-made CPM S35VN Stainless Steel blade, coated with black SpartaCoat PVD Zirconium Nitride. Its total length is a whopping 11 5/8 inches, and its weight totals 11.4 ounces. This is a seriously formidable knife for the serious knife collector or enthusiast. The black canvas micarta handle is produced using innovative 3-D machining technology, and the result is a perfect, comfortable grip. Holding the Harsey Difensa feels like reuniting with a part of your hand that you didnÆt know was missing; it becomes an extension of your body, an integral piece of who you are. The Harsey Difensa also comes with a convenient lanyard and a black molle nylon sheath. This knife is the classic meets pioneer, hunter meets Sergeant. 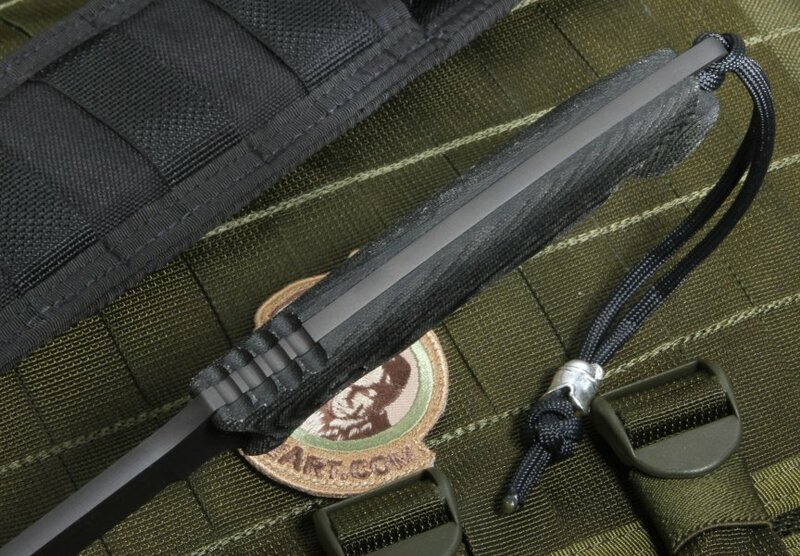 This Sspartan fixed blade is all black - blade, handle and sheath. The Harsey designed Difensa doesnÆt need to be loud or flashy; it quietly communicates its awesome potential. 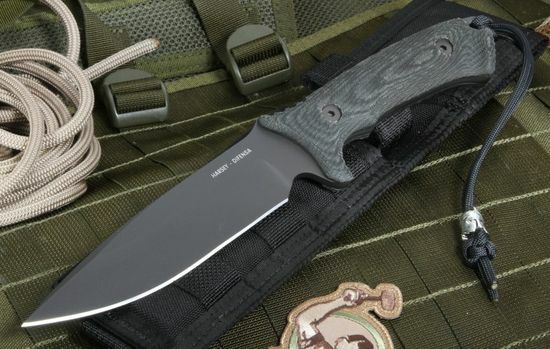 Spartan Blades is an all-American, elite knife-making company owned by Curtis Iovito and Mark Carey, who both boast a lifetime of military service and experience. Any American should be proud to display a Spartan Blade in their collection. Knifeart.com is certainly proud to be a supporter and authorized dealer of American-made Spartan Blade knives. Awesome Knife, you guys do a great job.